Also in Oxford, I went up a church tower for a view of the city. 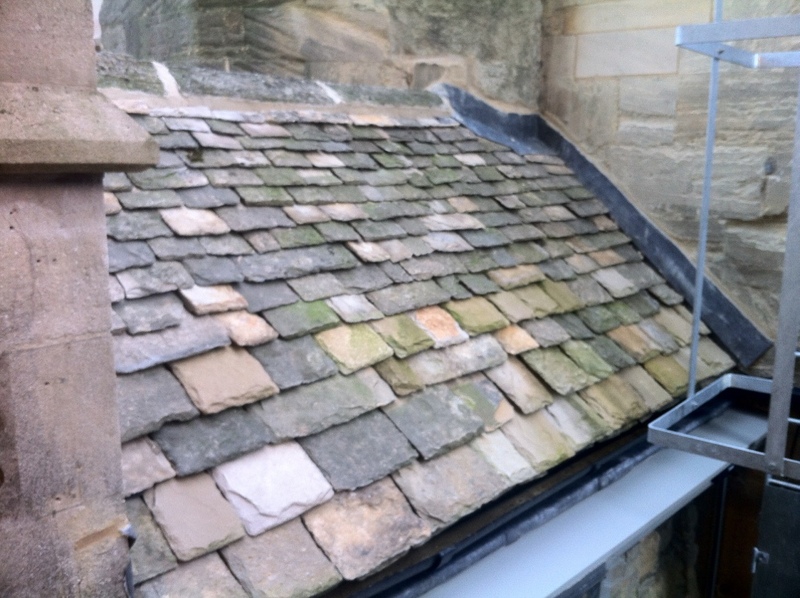 On the way up I saw this stone tiled roof. I liked the textures, differences in colour, the unevenness of each and the mark of the person that put this roof up hundreds of years ago.